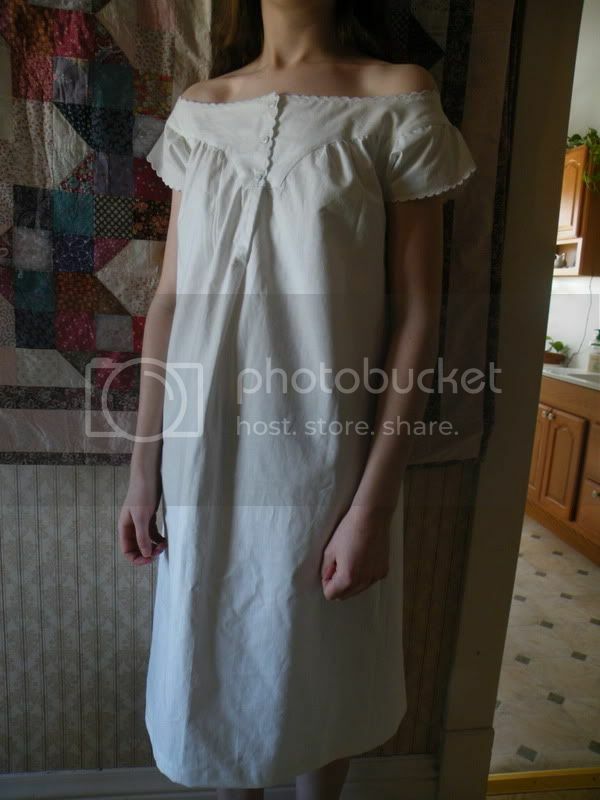 Awhile back my sister Michelle decided she wanted a new 1860's chemise. She generally prefers things to be quite frilly and such, so we decided to use Past Patterns 707 (the one on the left). 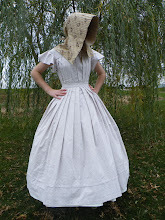 For the fabric I used a white cotton. It was already starched so it was pretty nice to work with. 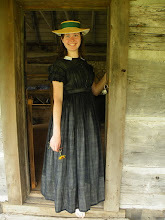 The chemise itself was quite complicated, coming from someone who mainly makes simple raglan style chemises anyway. :D It used many techniques I hadn't done before. 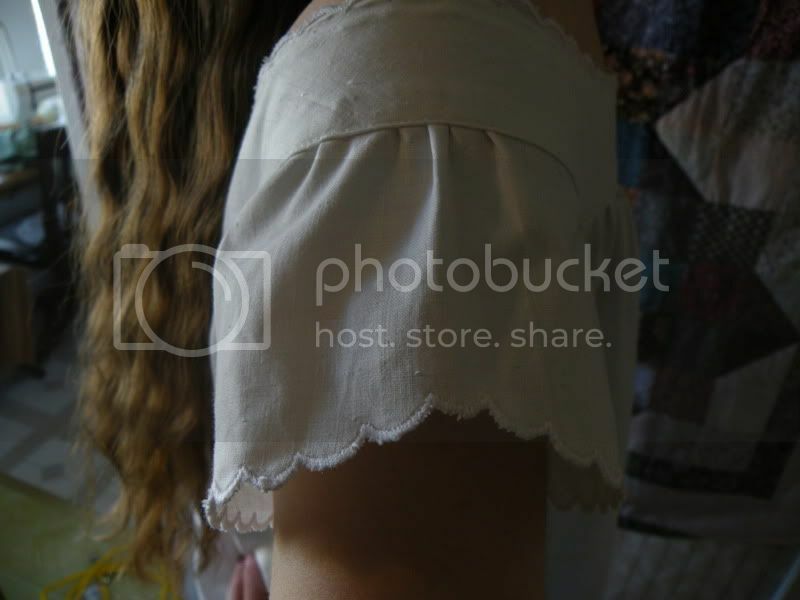 It features scalloped edges on the sleeve hem and the top edge of the yoke. We left off the embroidery for durability's sake. The yoke is topstitched thru all layers to be attached. It actually wasn't as hard as I expected it to be. I just recommend to pin it quite a bit. ;) Then you whip stitch the yoke facing down to the inside. 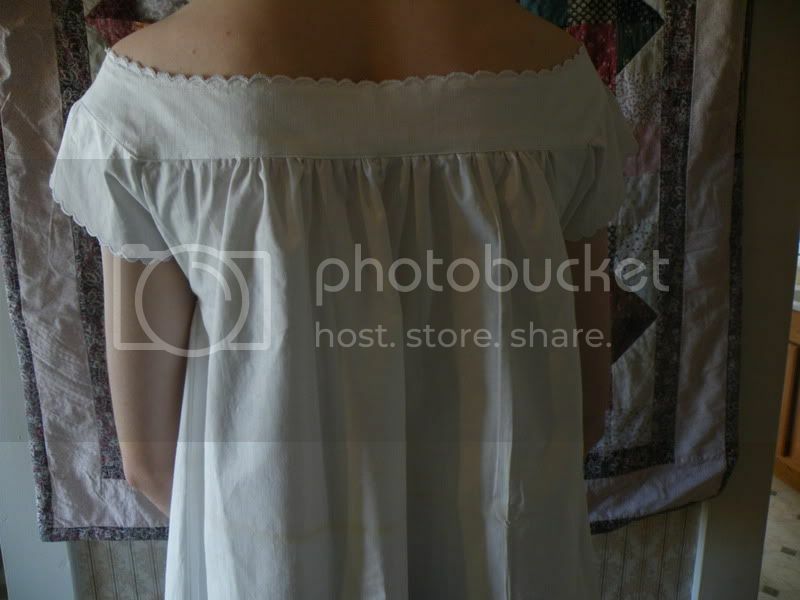 For the first time using this pattern it took me quite awhile to complete the chemise. But I think after doing the first one. I'd be able to make another much quicker. 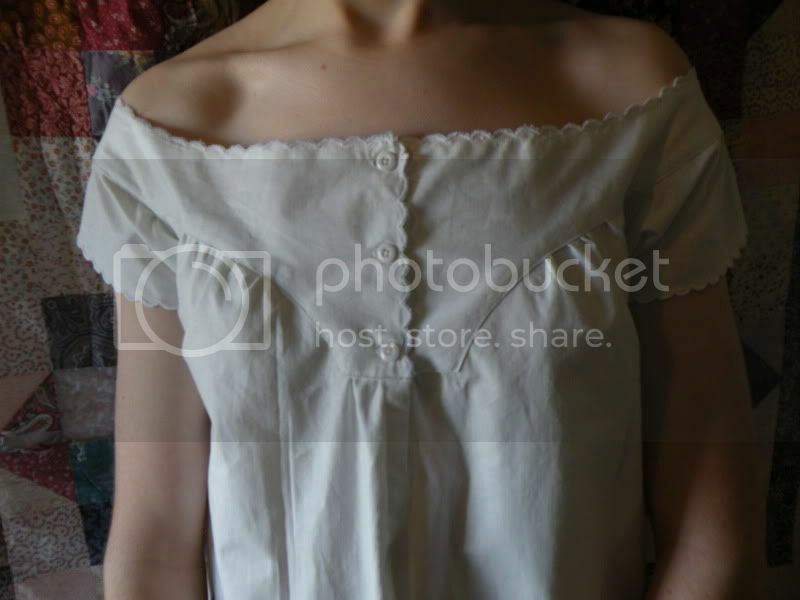 The chemise its self cost about $2.00 to make. The fabric is a repurposed sheet and the buttons were from a lot off of eBay. I am always amazed at the talent that comes from that side of the highway!!! Looks really good Brooke!!! It's so exciting that you have a blog!!!!!!!!! 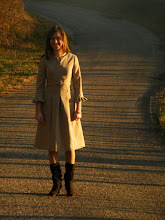 I am going to LOVE being able to see pictures of your sewing projects. 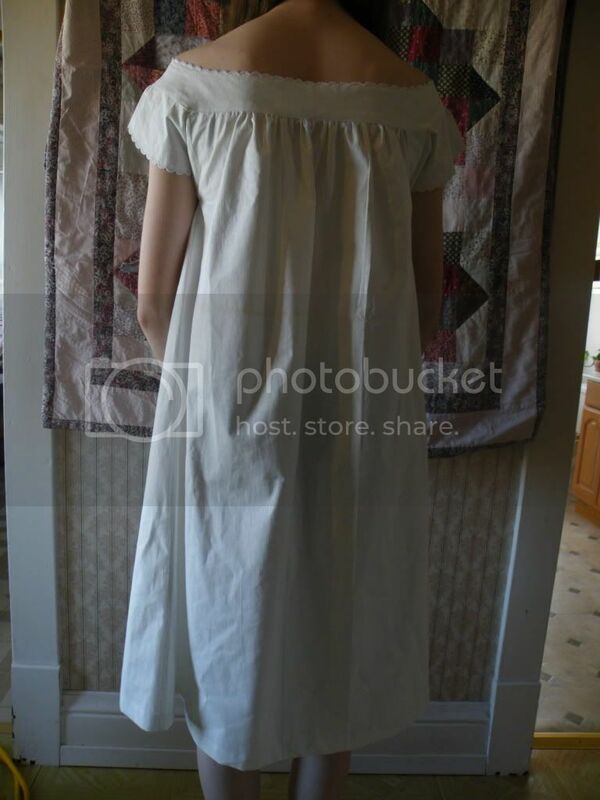 :) That is a beautiful chemise! YEAH, I hadn't thought of that.. Great idea!